*Rihanna’s camp is denying Internet rumors that she’s suddenly dating Usher. This rumor started with a story published recently in OK magazine, which suggested that Ursh and RiRi were flirting and nuzzling at the Coachella Valley Music and Arts Festival over the weekend. According to the publication, witnesses also saw Leonardo DiCaprio speaking to Rihanna, but said that she went home with Usher. “They’re having fun and hooking up,” the reports suggested. 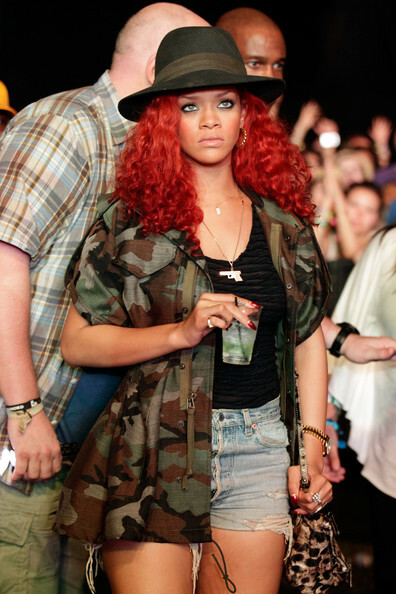 However, source close to Rihanna has claimed that the story is false, reports Gossip Cop. She will hook up with anything!! HELLO!